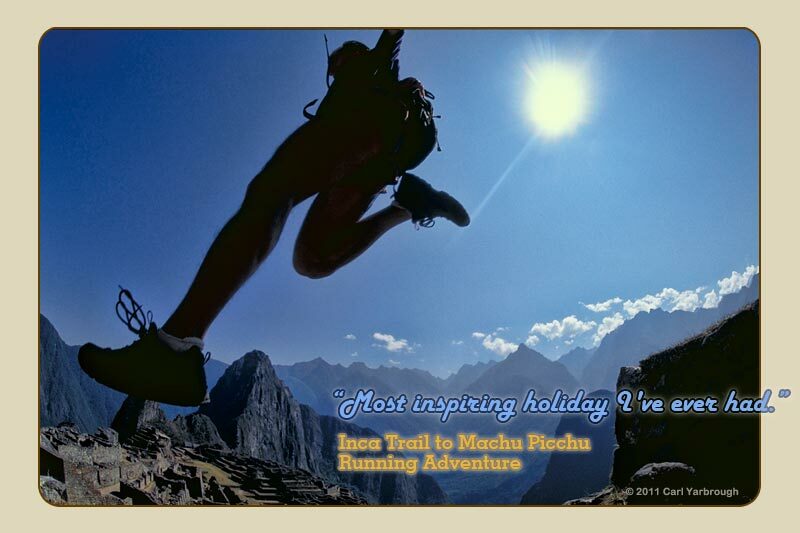 Hike or run the Inca Trail to Machu Picchu! 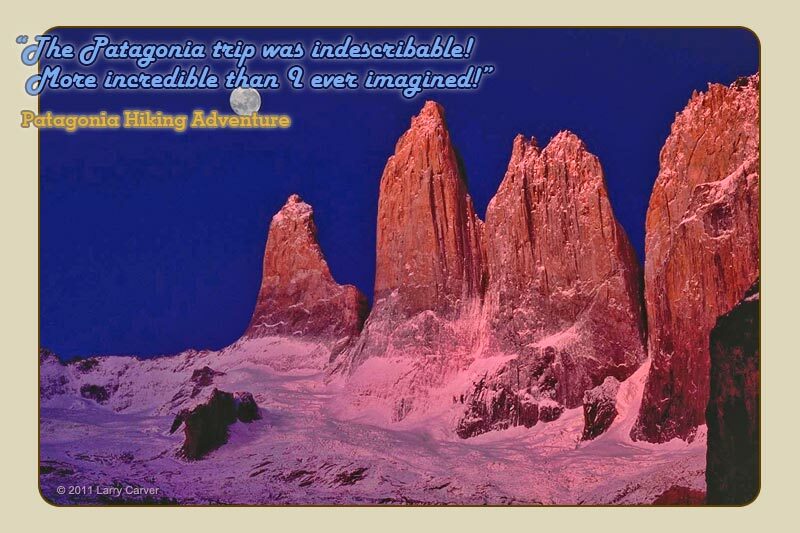 Hike or run in the great parks of Patagonia -- Torres del Paine, Los Glaciares and Tierra del Fuego! 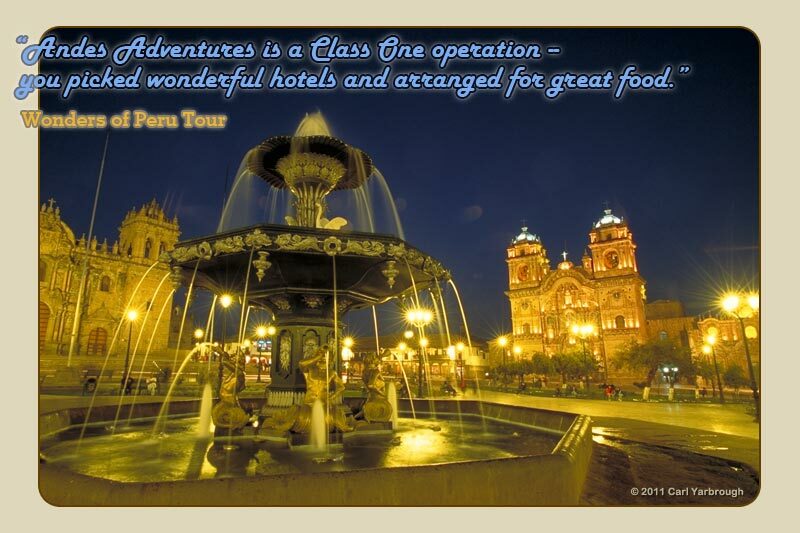 Andes Adventures offers unsurpassed value in travel, hiking, and running trips to Peru and Patagonia. 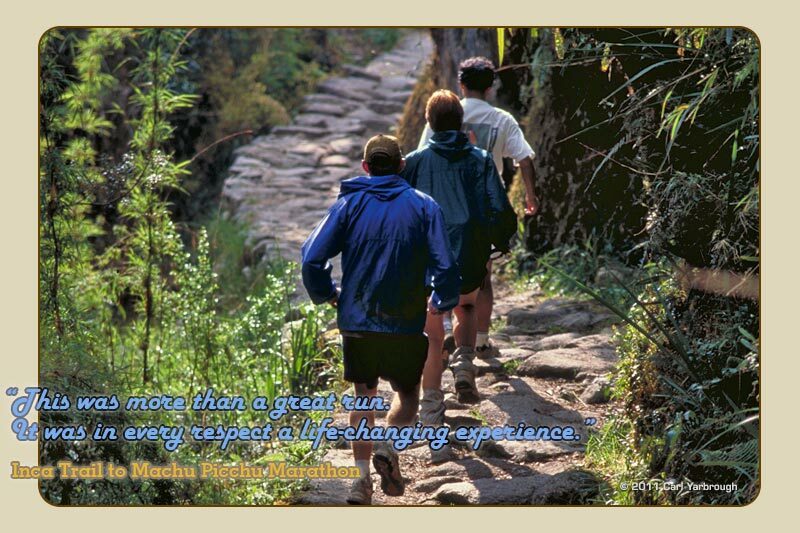 *See: Why are Andes Adventures trips are a lot less expensive than other companies? 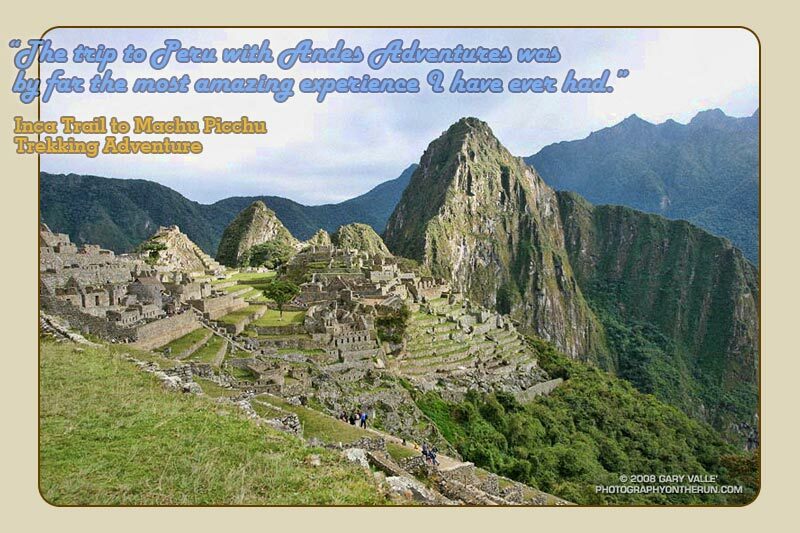 Based in Southern California, ANDES ADVENTURES offers an extraordinary and rewarding style of adventure travel. 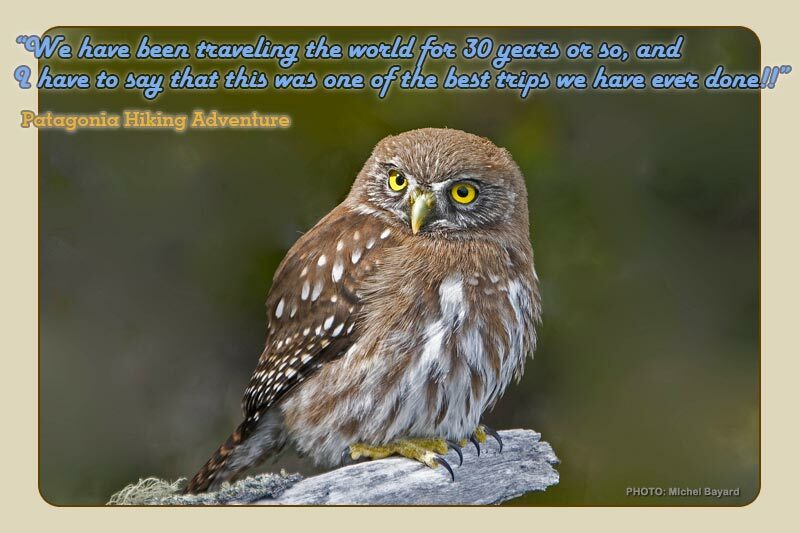 Our extensive experience in Peru, Patagonia, Chile, Argentina, Bolivia, Ecuador and the Galapagos Islands allows us to offer the highest quality adventures at an unsurpassed value! 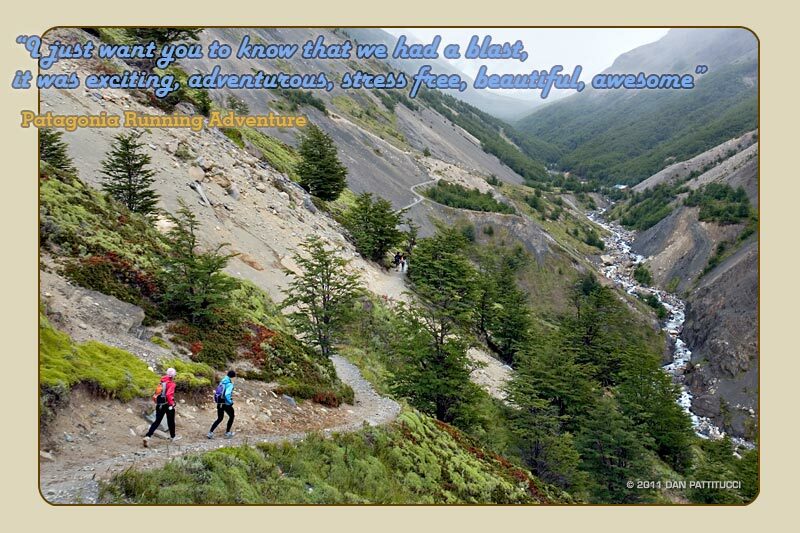 Join us for a memorable journey! Revel in Peru's unique combination of towering snow-capped peaks, rain forests, and wealth of flora and fauna. Explore Patagonia's vast beauty with endless pampas, immense glaciers, and dramatic landscapes punctuated with soaring granite towers. Enjoy Ecuador's centuries old haciendas and volcanoes, and visit the extraordinary Galapagos Islands. Join us, and discover fascinating ancient cultures, archaeological sites and an abundance of exotic natural beauty!